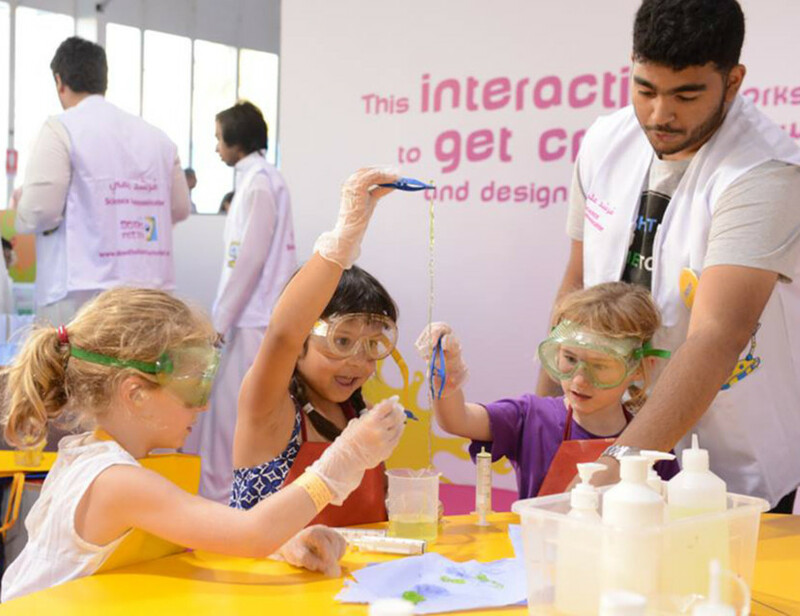 Explore the world of science with a number of scientific activities. Children are invited to take part in workshops, shows and exhibits. At Umm Al Emarat Park and Al Ain Zoo, 4-9pm, extended hours on weekends, until November 26. Entry Dh10 for children aged 5-15, adults at Dh5. Schedule at abudhabisciencefestival.ae. Yasalam 2016, daily activities at the F1 FanZone and Urban Art Zone featuring workshops, art creations, obstacle course challenges, real-life simulators, pit-crew challenge, racing action on giant screens and more. Thursday and Friday 4pm-midnight, Saturday to Wednesday 5-11pm, until November 27. Free entry. More at yasalam.ae. Study in Japan informational fair along with traditional cultural activities, at Twofour54 Lime Green Bldg. No 1, 2-6pm, until tomorrow. Email abudhabi@jice.org or call 056-3787832 (Mr Kanamori). Flamboyant Impressions, German photographer Andreas Denstorf presents a photo exhibition of his new works. He is known for using a blend of materials, colours, dimensions and forms to create something visually different. At Emirates Palace. Until March 4, 2017. ThriveInTribeca hosted by Big Hass. Masterclass about engaging your audience and presentations with Conor Hyland of Audience Alive. Art on display. Every Sunday, at Tribeca Kitchen and Bar, JA Ocean View Hotel, JBR, 5-11pm. Happy hour Dh25 on select beverages; 5-8pm, two-course meal at Dh99, Dh119 for three-courses. RSVP at cre8tiveminds.eventzilla.net. Just Sunday midnight brunch dinner show featuring DJ Jack, at Cavalli Club, The Fairmont Hotel. Dh299. Call 050-9910400. Quiz Night with quiz master Shane, at Dusty’s, DIFC, 7-9pm. Happy hour all night. Call 04-3545435. NY NY Sundays featuring modern deep house music with old school vocals with DJs Roberto Mermand and Marshall, at Provocateur Dubai, Four Seasons Hotel. Doors open at 10.30pm. Call 055-2118222. Designers pop-up, fashion, beauty, jewellery, home decor and food, at Dubai Ladies Club, Jumeirah, 9am-4pm. Call 04-3338787. Les Miserables, the blockbuster musical will be performed by an international cast, led by current Broadway stars John Owen-Jones as Jean Valjean and Hayden Tee as Javert at Dubai Opera, until December 2. Tickets from Dh275. More at dubaiopera.com. The List, combining fine dining and shows, at Billionaire Mansion, Taj Hotel Dubai. Doors open at 11pm. Call 050-2261662. Okku L.O.V.E., Family & Friends on tour featuring Ten Ibiza resident DJ Oriol Calvo, signature O style cuisine, at Okku, The H Hotel. Call 04-5018777. Ladies night, free sheesha and a non-alcoholic beverage on an order of a main course, plus three arcade zone tokens for women, at O Leary’s, near Etihad Travel Mall, 6pm-2am. Call 04-3466635. Dubai Garden Glow themed on the Lost World, taking visitors to the dinosaur era, also featuring live performances by artists, musicians and acrobats showcasing the UAE culture. At Zabeel Park, open daily from 4-11pm. Dh60 per person, free for children below three years. More at dubaigardenglow.com. Global Village Dubai themed A New World Everyday. Open from 4pm-midnight Saturday to Wednesday and 4pm-1am on Thursday and Friday, as well as on public holidays, while Mondays are dedicated to families and ladies only. Entry Dh15. More at globalvillage.ae. Zoe Henderson, UK’s intuitive healer is conducting individual sessions for people and pets in Dubai, until November 24. Dh550 or Dh660 for onsite visit. Call 050-6560084.